See also main EPLUS page. New! At the November 30, 2018 State Game Commission meeting, significant changes were adopted to the Private Land Elk License Allocation rule (19.30.5 NMAC), better known as EPLUS. These changes will improve the EPLUS program, help the Department achieve its elk management goals, and will better acknowledge ranches that provide meaningful benefit for elk. The new rule, which officially goes into effect on April 1, 2019, contains several changes. These changes will affect ranches currently in the program, newly applying ranches and hunters alike. Participating landowners will receive an introductory letter in December explaining the changes and outlining the new program and timelines. EPLUS Agreements for the 2019-2020 hunting season will be mailed out as property mapping is completed, properties are re-evaluated under the new participation requirements, and ranch scores are assigned. Agreements for 2019-2020 could arrive as late as April. The department will work with landowners to meet any new deadlines as a result. Properties that no longer qualify for the EPLUS program based on the Commission approved Participation Guidelines will be notified by April 1 and will be provided options to request a Review if they so desire. Participating landowners may also receive a request for updated documents to verify ownership and property location. Please read the request carefully and return all requested information to assure you are included in the program for this year. The state is now divided into three elk management zones; primary, secondary, and special. The rules will differ for landowners depending upon which management zone their ranch is located. There were previously two management zones for elk in New Mexico; COER (Core Occupied Elk Range) and Outside the COER. The Primary Management Zone (previously COER) is the area within the state where elk management is focused and licenses are limited in number. The Special Management Zone is the area within the state where private land elk authorizations are issued to private landowners by the department on a ranch by ranch basis. The Secondary Management Zone is the area within the state where no specific elk management goals are set and licenses are available to private landowners in unlimited number. The Department distributes private land elk authorizations to eligible landowners in the Primary and Special Management Zones through the EPLUS program. These authorizations can be bartered, sold, or traded to hunters. An authorization is then used by a hunter to buy a private land elk license. The sale of landowner authorizations may result in a Gross Receipts Tax liability. Contact a qualified tax professional if you have questions. It is the responsibility of the Landowner/Authorized Ranch Contact to maintain records regarding the sale of authorizations. The Department of Game and Fish does not maintain these records. Landowners may use the Zone Maps (PDFs) available online by GMU to identify if their property is within the boundaries of a Primary or Special Management Zone. The property must be inhabited and regularly used by elk for the majority of at least one season. The property must contain some habitat components suitable for elk that are beneficial to their summer, winter, or transitional range and receive a minimum Ranch Score of seven. The property cannot be within a village, town, or recorded subdivision with covenants or ordinances that prohibit hunting and/or the discharge of firearms. The total number and type of authorizations available to landowners that are within the boundaries of a Primary Management Zone is determined by the percentage of public land to private land. Once the number of authorizations available to private lands in a GMU is determined, ranches will receive individual authorizations based on the percentage of the private land that ranch has within the GMU. For example, if a ranch comprises 10% of the private land in the GMU, it will receive approximately 10% of the authorizations available. Ranches able to receive at least one whole authorization through this formula are considered Base Ranches. When a property is not large enough to receive at least one whole authorization through the formula, it is considered a Small Contributing Ranch (SCR). In the past, there was a rotational system used for the SCR draw whereby an SCR could not receive an authorization of a specific type until all SCRs within the GMU had received that specific authorization type. With the new rule, SCRs will compete for authorizations in a random draw weighted on the ranches ranch score. Bonus and two-year unconverted allocations will now be added into the pool for the SCR drawing first, which will improve the odds for the SCR draw. Any bonus or two-year unconverted allocations remaining after the SCR draw will be redirected to the acre based allocation formula for base ranches. The number of authorizations available to landowners is subject to change. Landowners cannot be guaranteed a specific number of authorizations per year. The acreage based formula used to issue authorizations is described in detail in the EPLUS rule (19.30.5 NMAC). Additional incentive authorizations may be available to landowners that are within the Primary Management Zone to recognize management practices that significantly benefit elk. Incentive authorizations are only available if there are left-over authorizations for a GMU. Private land elk authorizations will be issued to landowners each year in May. If a landowner has been issued authorizations, they will receive an Authorizations Account Statement in the mail. With only two exceptions, private lands located within the Primary Management Zone boundary may have the option to receive either unit-wide or ranch-only authorizations. Unit-wide authorizations are not available in GMUs 4 and 5A; ranches in these units may only receive ranch-only authorizations. 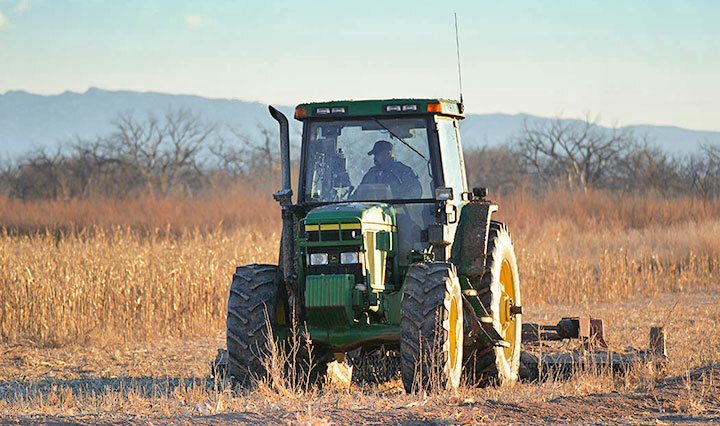 Landowners may select from the ranch-only or unit-wide option, where available each year when the agreement is reviewed, signed and returned to the Department. Once the agreement has been received, no changes will be made regarding the unit-wide or ranch only option for the upcoming season. A unit-wide authorization allows a hunter to buy a unit-wide private land elk license. Unit-wide hunters are allowed to hunt legally accessible public lands and unit-wide private lands within the boundaries of the Game Management Unit (GMU). Unit-wide private lands are open to properly licensed elk hunters during each public elk hunt for the sole purpose of hunting elk. Hunters are allowed free, unrestricted, and equal access to unit-wide ranches. Unit-wide ranches are not open for camping. Scouting may occur during legal shooting hours during the two days immediately preceding the start of the hunt. A ranch-only authorization allows a hunter to buy a ranch-only private land elk license. Ranch-only hunters are restricted to the private land within the boundaries of the ranch. No public lands may be hunted using a ranch-only private land elk license. In GMUs 4, 5A, 46, 55A, and 55B ranch-only hunters are allowed to hunt on other private lands within the GMU with written permission from the landowner. EPLUS applications are available online, at any Department of Game and Fish office, or by calling 1-888-248-6866. Applications are normally available for the following year by October 1. Applications must be submitted to the Department, hand delivered or post marked, no later than February 1 for the 2019 hunting season. Applications submitted after the deadline and incomplete applications will be rejected. There is no fee to submit an EPLUS Application. Early submittal is encouraged to ensure the application is complete by the deadline. The following documentation is required to be submitted with the application. Please see the application for more detailed information. Initial EPLUS application and agreement. Copy of current recorded deed(s). Most recent property tax records from the county for the property included in the application. Ranch location and boundary map. Applications are reviewed in the order they are received. New applications will be evaluated to make sure they qualify for participation in the EPLUS program. All ranches within the Primary Management Zone will be evaluated using a scoring system that assesses specific habitat measures. Scoring will be done by a committee consisting of local biologists and conservation officers assessing six major criteria; forage, water, cover, surrounding area, agricultural use, and for other meaningful benefits not captured elsewhere. Ranches must receive a minimum final score of seven points to qualify for the EPLUS program. The application review process is normally finished by the end of April. Qualifying properties that are within the Primary Management Zone will be assigned an Elk Contribution Rating (ECR). The ECR is used to measure the frequency that elk are on the property. 1.00 = Occasional elk presence and use. 1.25 = Frequent elk presence and use. 1.50 = Continuous elk presence and use. If the Department determines that a property does not qualify to participate in the program, the landowner will be notified. Non-qualifying landowners have the right to request a review of the Department’s decision. Review requests should be submitted in writing and include documentation that refutes the Department’s decision. The Department may take up to 45 days to consider the request. Participating landowners will receive an annual EPLUS agreement from the Department. Agreements for lands that are in the Primary Management Zone are normally mailed out during the first part of December. The agreement must be signed and returned to the Department, hand delivered or post marked, by no later than January 5. Landowners are required to report any changes to the acreage or boundaries of their properties within their EPLUS agreements. Changes must include all required documentation as described in the EPLUS agreement. The EPLUS agreement sets forth the terms for participating in the program. A landowner may be removed from the EPLUS program if the Department determines that the landowner has falsely represented a property or has failed to comply with the Department or the terms in the EPLUS agreement. Landowners that have been removed from the program may have their properties inactivated and all unconverted authorizations they have been issued will be voided. Any landowner that has been removed from EPLUS for these reasons may be suspended from participating in any Department sanctioned private lands programs for a period up to 3 years. They may also be subject to the revocation processes set forth in 19.31.2 NMAC. The Secondary Management Zone is that area within the state where no specific elk management goals are set and licenses are available over-the-counter to hunters who possess a ranch code from a landowner who is registered with the department. Hunters must also have written permission from the landowner issuing the ranch code for a private land elk license to be valid. Ranches in the Secondary Management Zone will not be required to complete an EPLUS application, but must have a ranch code assigned to them for hunters to purchase a private land elk license for that specific property. Ranches will need to apply with the department an annual basis to receive a ranch code for the current hunting season in order to affirm continued ownership. Ranch codes will only be issued to properties or portions of properties that lie within the Secondary Management Zone. If a portion of a private land ranch resides in or crosses into a Special or Primary Management Zone application must be made to the EPLUS program to enroll those acres. All licenses in the Secondary Management Zone shall be ranch-only and transferrable to other private lands within the same GMU and management zone with written landowner permission. Ranch codes will be available online through the Department’s website, by telephone: 1-888-248-6866, and at any NMDGF office beginning on July 1, 2019.